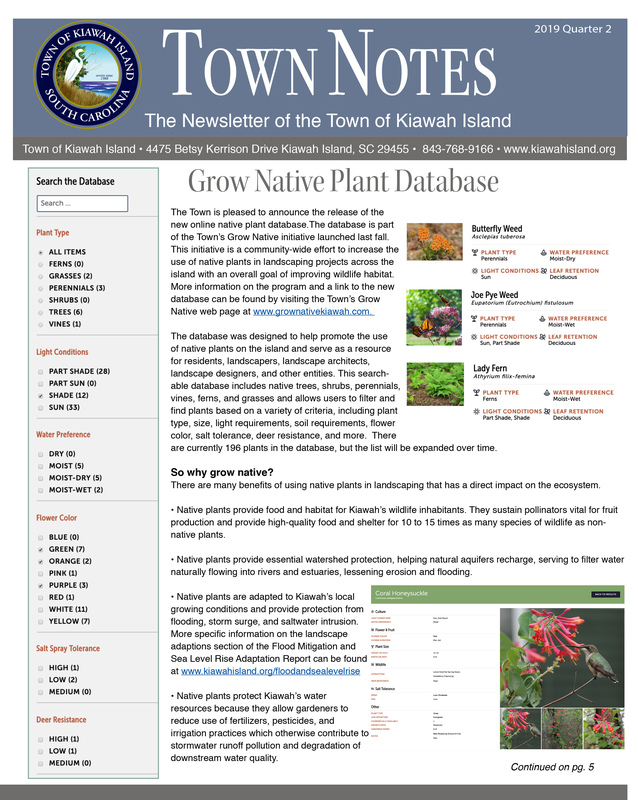 Town Notes is the Town of Kiawah Island’s quarterly newsletter that is designed to keep property owners informed of current events, activities, and Town Council actions. The newsletter features articles on Town notices, Town initiatives, Council meeting summaries, environmental reports, and arts council events. Below, please find past editions of Town Notes listed by year for your convenience. If you have any difficulty receiving your newsletter, please call Town Hall at 843-768-9166 for assistance.